Meghan Markle’s baby bump can be seen in a photo taken by none other than her husband, Prince Harry. 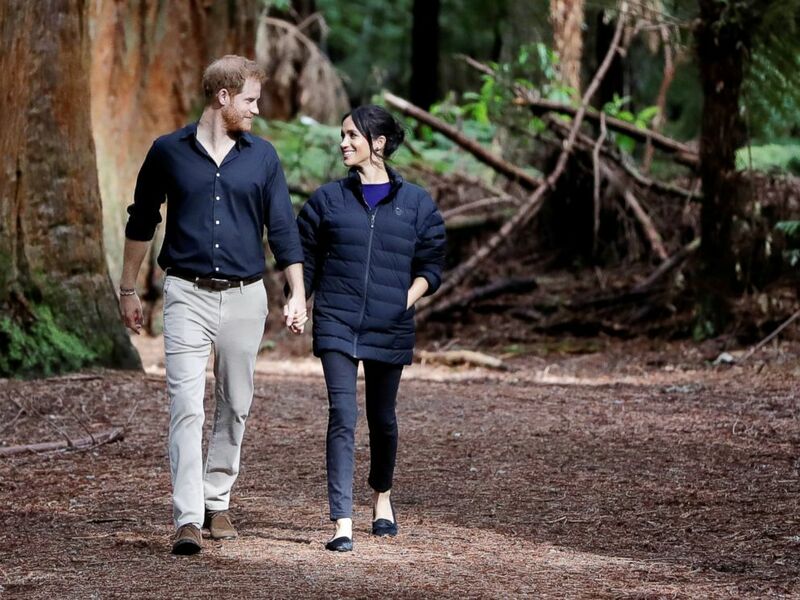 Kensington Palace shared the photo that Harry took of Meghan in the Redwoods Treewalk Rotorua in New Zealand on the final day of the couple’s 16-day, four-country tour. Meghan, who is due in the spring, is cradling her stomach in the photo as she stands among towering trees. The Palace posted the photo on Instagram along with a message from the Duke and Duchess of Sussex, who are expecting their first child. The message of thanks to the people of New Zealand ended with a quote from Kate Sheppard, the leader of New Zealand’s women’s suffrage movement. “The rain that refreshes the parched ground, is made up of single drops,” reads the quote. Britain's Prince Harry and Meghan Markle, Duchess of Sussex walk through a Redwoods forest in Rotorua, New Zealand, Oct. 31, 2018. Meghan delivered a powerful speech celebrating the 125th anniversary of women's suffrage in New Zealand earlier in the week. In preparing to mark New Zealand's place in history as the first nation to allow women to vote, Meghan said she "reflected on the importance of this achievement, but also the larger impact of what this symbolized." The speech was just one of many powerful moments for Meghan in her tour with Harry to Australia, New Zealand, Fiji and Tonga. The couple announced Meghan's pregnancy at the very start of the tour.